Believe it or not, there’s a whole lot more to Sydney than the harbour. It’s a bloody ‘uuuuge city and there’s so much to see. But just because you’re visiting (and technically a tourist), doesn’t mean you need to stay in the centre of the city. Here are our top picks of where to stay when you come to Sydney. Ok, ok, if you’re a first time visitor to Sydney, we strongly support you getting amongst allllll of the touristy things. The easiest (read: most expensive) way to do this is to base yourself in the Circular Quay (in a hotel with Insta-worthy views, of course), where you’ll find the Harbour Bridge and Opera House (as well as some of the city’s best eats and drinks) on your doorstep. Not necessarily our first pick when it comes to choosing where to stay in Darling Harbour, we’ve decided to re-think our initial opinion and give this an official thumbs up. 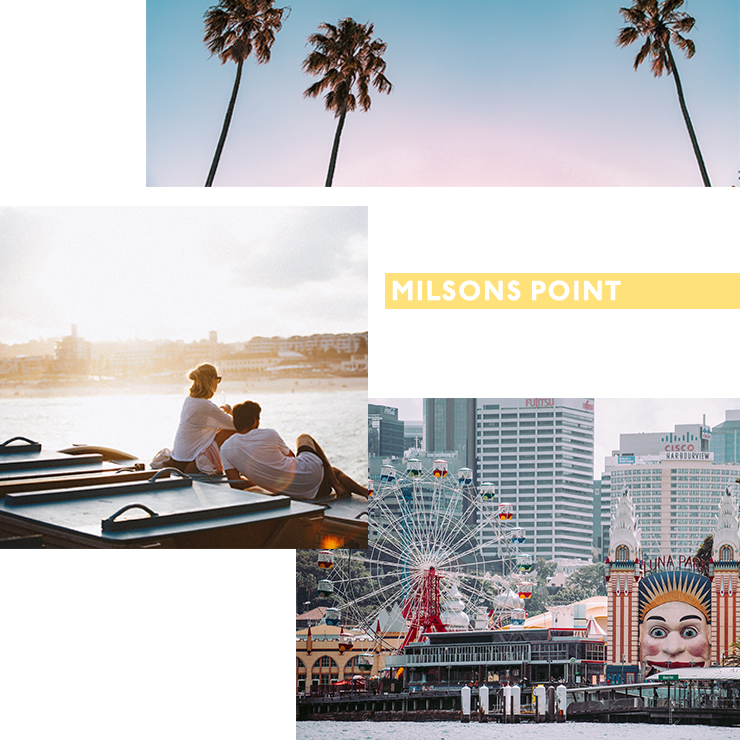 With the brand spankin’ Sofitel Darling Harbour and recently announced W Hotel, plus the brand new dining precinct Steam Mill Lane, Darling Harbour is back on our radar in a big way. The brand spankin’ new Barangaroo just keeps on getting better and better. From the boutiques and the restaurants, to the arts and culture scene, there’s always something to do or see. Plus, its super central location means you can easily walk anywhere in the bustling CBD. Perfect for business travellers, if you’d rather keep your distance from the suits, plant yourself at neighbouring suburb, The Rocks with old school charm and plenty of cosy pubs that were made for day drinking. There’s really no explanation needed as to why you should stay at Bondi. It’s home to the most famous beach in the world and we’re yet to meet a single soul who doesn’t love absolutely everything about it—from the hipster food and impressive views, to the youthful fashion and designer dogs. 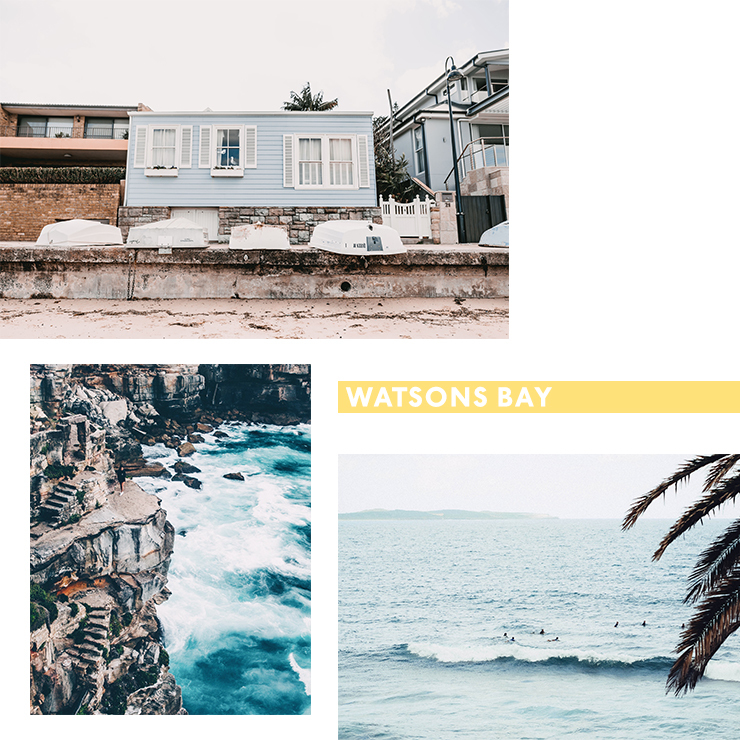 Watsons Bay is one of the most Instagrammable ‘burbs in Sydney. Only a ferry ride away from Circular Quay, it’s far enough away from the CBD to feel like a teeny tiny (but seriously affluent) village. Wake up and walk around the lighthouse, grab lunch at the local favourite Doyle’s (their fish and chips are tasty AF), then drink away the rest of day at the very trendy Watsons Bay Boutique Hotel. Frosé is a must. Backpackers flock to Coogee for its wide sweeping beach and laid-back surfer vibes. 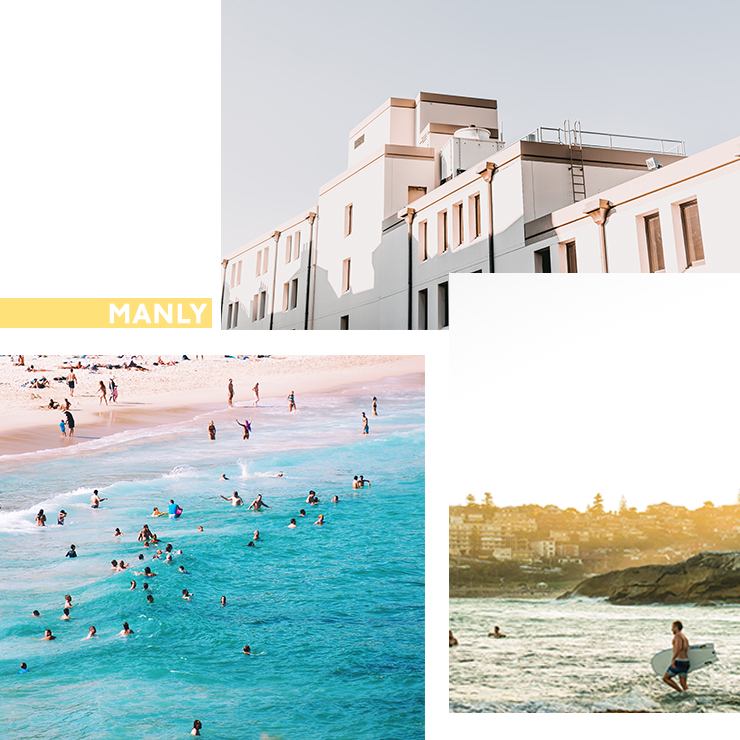 From here, you can walk all the way to Bondi on the famous coastal walk, stopping at Bronte, Tamarama and the stunning Gordon’s Bay (BYO camera and snorkelling gear). Sundays are best spent on the rooftop at Coogee Bay Pavillion. Enmore is the place to be if you’re a fan of live music. You can find the iconic Enmore Theatre in the middle of Enmore Road (technically Newtown), as well as local acts playing every night at all the pubs and bars. When you’re not busy listening to sick beats, do a craft beer crawl at the breweries in nearby Marrickville. If your main reason for living is food, you’d be a fool to stay anywhere but Newtown. Restaurants and bars line the jam-packed bohemian King Street, and it’s the only place in Sydney where you’ll be able to find something for every dietary requirement (like, ever). Book a table at Stanbuli if you like all things Middle Eastern and Continental Deli if cured meats, cheese and dry cocktails are your vibe. Surry Hills is best known for its killer cafe scene. Situated only 15 minutes stroll from the CBD, you can spend your days brunching (two brunches a day is a thing, right?) and exploring the many vintage shops and galleries dotted along the famous Crown Street. Despite the lockout laws (ugh) you’ll find some of the best nightlife around here. Hot tip: seat yourself at Paramount Coffee Project to cure your hangover. Potts Point has come a long way in the last 10 years and it shows no sign of slowing down. Home to antique shops and a whole lot of art deco architecture, it’s quickly becoming a hip foodie hub with top-notch wine bars and contemporary eateries opening up by the week. Couples will love the intimate Dear Sainte Eloise and boutique hotel, Spicers. While Surry Hills is famous for its cafe scene, the oh-so picturesque Paddington is home to all the best Australian designer boutiques (think Zimmermann, Alice McCall, Aje and Scanlan and Theodore). Do as the locals and shop till you drop, then kick back with a beverage at a rooftop bar overlooking the entire city. Don’t forget to spend some time wandering the iconic terrace lined streets while you’re there. A stone’s throw away from North Sydney, Milsons Point gives you the chance to rub shoulders with the Prime Minister at Kirribilli House. Smack bang next to Luna Park, enjoy harbour views without the crowds and see central Sydney from the other (more peaceful) side of The Bridge. Mosman is perfect for families or those staying in town for longer than two weeks. Only 10 minutes drive from the CBD, set up camp in a leafy street and get lost oo-ing and ah-ing at all the hot property. The best part? Taronga Zoo is just down the road—we’re telling you now it has one of the best views in Sydney. Oh, and the cute to boot animals aren’t bad either. Balmoral is one of the most recognisable harbour beaches in Sydney. Quiet during the week and bustling on the weekends, it’s ideal for those who like being active with plenty of bushwalks and water sports. Most locals start their day with an ocean swim, followed by a coffee at The Boathouse. The scenic ferry from Circular Quay to Manly alone makes you want to pack up your life and move there, ASAP. The hotspot for all things swim, surf and snorkelling, it boasts the best Sunday session in Sydney, all while keeping the beach vibes flowing. Bare feet are totally acceptable (did we mention backpackers love it here?) and, if you want to join locals at ‘The Office’ for pre-drinks, it’s mandatory. With two beaches, a bay and an ocean pool, Newport has it all. It’s the kind of place where everyone knows each other and isn’t afraid to stop for a chat in the street. Stay here if you want to escape the city and spend your days by the sea. Merivale’s The Newport serves up all the seafood you could ever need (and is peak Sydney). Palm Beach is so far out of Sydney, it’s hard to believe it’s actually Sydney... but we’ll totally claim it. With calm waters on one side and ocean waves on the other, it’s the ultimate holiday spot for all ages. During the week you’ll have it all to yourself so we strongly suggest you hike to the Barrenjoey Lighthouse and reenact your fave Home & Away scene. Rosebery is an industrial area that’s quickly becoming the hottest spot in Sydney for millennials and young families. Think interior showrooms, designer warehouses, yoga studios, and an evolving foodie scene—there’s even a gin distillery! Anyone who loves adventure will love Cronulla (or, as the locals call it, ‘The Shire’). Surfing, rugby league and fishing are the name of the game but if you’d rather hunt down secret swimming pools, pack a picnic and take a day trip to the Royal National Park. If you're looking for the best hotels in Sydney too, read this.